Elite race or competition horses require optimum lung function to perform to the best of their ability. Furthermore, stabled horses are subjected to a constant respiratory challenge from fungal spores and dust in their immediate environment, which can affect their respiratory health and function. Eucalyptus oil is well known for its ability to help clear the respiratory tract of a build-up of mucus caused by constant exposure to dust and spores. Peppermint oil and its active ingredient menthol have been used in humans and animals for centuries to help open the airways, and clear excess mucus. Many of the compounds found in peppermint oil will provide nutritional support to help the horse’s own respiratory defenses. Airways solution should be administered via syringe into the corner of the mouth when the horse’s respiratory system is under challenge, either pre-race or -pre competition, or when there may be a short term environmental challenge. 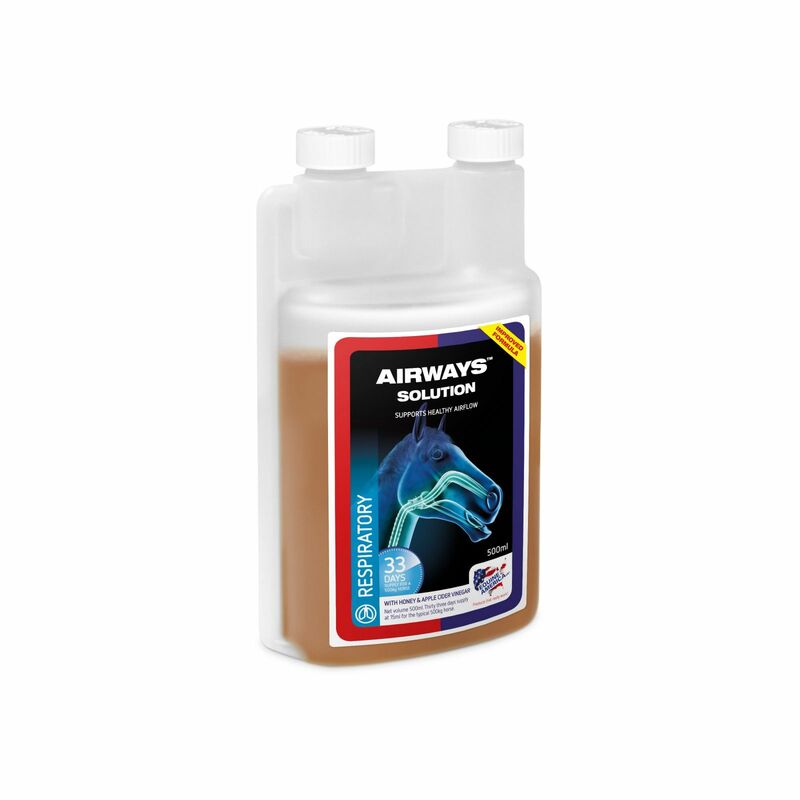 For on-going support, Airways Xtra Strength Powder may be added daily to feed. Coff-Less is a potent blend of plant-based extracts and oils, including Echinacea, formulated to provide powerful antioxidant support for the respiratory system, and help maintain the horse’s immune system. May be used alongside Airways® Xtra Strength Powder for optimum support.